Their new house is less than 1 km from the boy's school and the 11-year-old can go there walking. 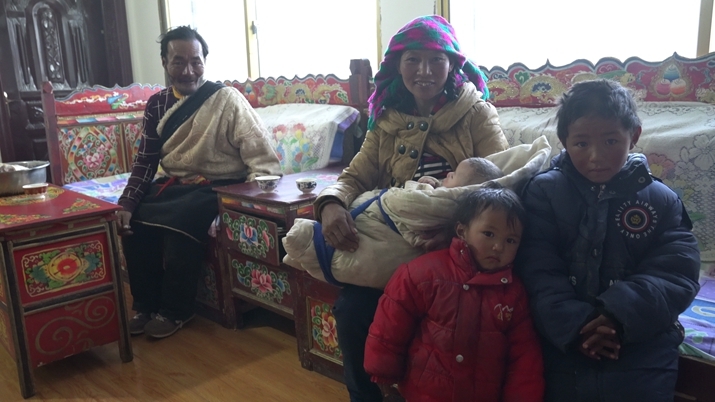 "Seeing my son and his educational progress every day brings me the utmost happiness," Dorjee told Beijing Review. The relocation has also brought a lucrative income. Eight years ago, Dorjee made a living by raising sheep. The family's per-capita annual income was about 1,000 yuan ($149), far below the national poverty line of 2,300-yuan ($338) income annually. To pull such families out of poverty, the local government has taken multiple measures, including encouraging them to join local cooperatives and offering them new jobs. From 2011, every member of Dorjee's family started to get an annual compensation for protecting meadows by not grazing their herds there. The amount rose to 5,500 yuan ($819) in 2016. Dorjee and his wife also get an annual salary of 7,000 yuan ($1,042) for working as meadow rangers. In January 2018, they were encouraged to join the local animal husbandry cooperative. From herding and milking sheep, they got a year-end bonus last year, making their per-capita annual income surge to 12,900 yuan ($1,921), 1,450 yuan ($216) higher than the per-capita disposable income of rural residents in the autonomous region. In addition, after moving to his new house, Dorjee got two new jobs as village cleaner and grocer, which will bring in more money. "After the relocation, our lives have been greatly improved. Food, clothing and transportation are more accessible. I have found my feet in the new village," Dorjee said. The relocation program is one of the five major targeted measures taken by the Central Government to end poverty. The other four are boosting the economy to provide more jobs, providing jobs related to ecological protection, improving people's education and social security. According to the Central Government's action plan issued in November 2015, nearly 10 million poor people will be moved out of remote mountainous areas, high-altitude plateaus, deserts, earthquake zones and other places with a fragile environment by 2020. According to the work report of the Government of Tibet Autonomous Region tabled at the Second Session of the 11th People's Congress of the region on January 10, some 14.49 billion yuan ($2.16 billion) was spent on relocating about 218,000 people in 2018. The Central Government aims to create reasonable prosperity for all its poverty-stricken areas and lift the remaining 16.6 million poor population out of poverty by 2020. Tibet is more ambitious. The autonomous region aims to eliminate its regional poverty by the end of 2019. 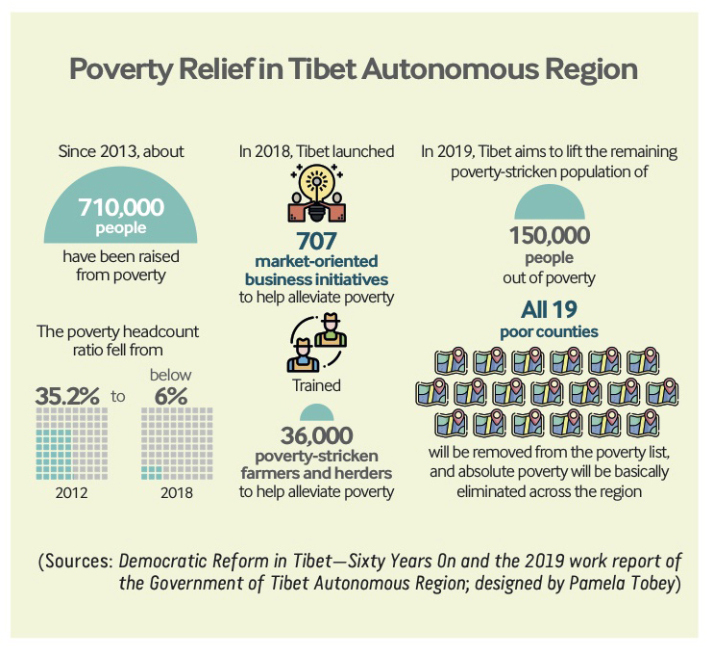 "We will stick to the strictest poverty-relief evaluation mechanism to ensure that the remaining poverty-stricken population of 150,000 people get rid of poverty, all 19 poor counties are removed from the poverty list, and absolute poverty basically eliminated across the region," Qizhala, Chairman of Tibet Autonomous Region, said while delivering the work report on January 10. It's not an easy task, especially for Shuanghu, where 21.9 percent of the population lives under the poverty line. The county is located in the heart of the Changtang National Nature Reserve on the Tibetan Plateau. With an average altitude of 5,000 meters, it is the highest county in the world. Founded in November 2012, it's also China's youngest county. Due to its high altitude and extreme weather, it is scarcely populated and known as "no man's land." The rarified air and lack of facilities such as electricity, water and transportation, prevent local residents from being better-off. "The quality of life for Shuanghu's residents, compared with those in other poverty-stricken counties, is the lowest in China. To win the battle against poverty, we should pay more attention to the poorest places," Liang Nanyu, Executive Vice Mayor of Shuanghu, told Beijing Review. Liang was sent by China National Petroleum Corp. (CNPC) to the county to help the development of the place. 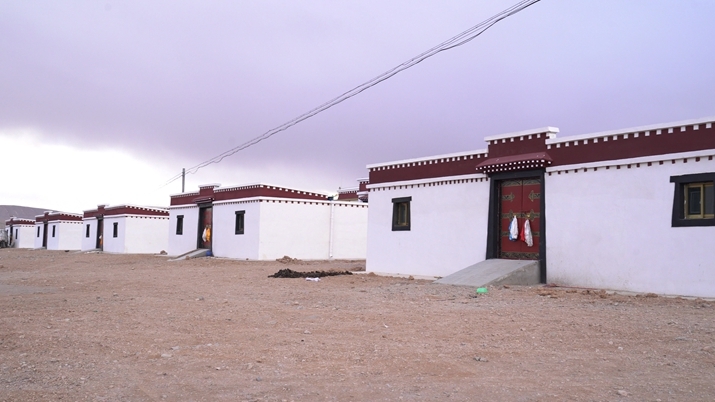 Since 1994, developed municipalities and provinces have been partnering with counties and cities in Tibet to assist the region. The drive is known as partnership assistance. In 2002, major state-owned enterprises also joined in. With the CNPC's help, the Shuanghu Government is brainstorming to provide more jobs and boost the economy. One way is to process eggs of shrimps found in saltwater lakes, like the Kyêbxang Co Lake in Shuanghu. The eggs are widely used as "formula milk" for baby fish and shrimps in aquaculture. In 2018, brine shrimps eggs from the lake fetched 21 million yuan ($3.13 million). Sixty percent of the money went to the fishermen. "It's the main source of Shuanghu's revenue and local residents' income. It's known as the 'purse' of Shuanghu," Liang said. To create more jobs, 13.8 million yuan ($2.06 million) was invested to build a processing factory, which is expected to be completed in July. "Finished brine shrimp egg products will be available then, adding to the profits," Liang said. Every resident in Shuanghu is expected to get an average additional income of 3,990 yuan ($594) per year. Brine shrimp egg is rich in eicosapentaenoic acid (EPA), a fatty acid that can lower the risk of heart diseases and apparently regulate blood fat and sugar as well as prevent insomnia. So the local government is seeking to team up with big pharmaceutical companies to turn it into a health food product. "Processing the eggs will create a reliable and long-term route out of poverty," Liang said. Last year, Tibet launched over 700 business initiatives for projects including growing fruits, breeding pigs and developing tourism to alleviate poverty and trained 36,000 poverty-stricken farmers and herders. 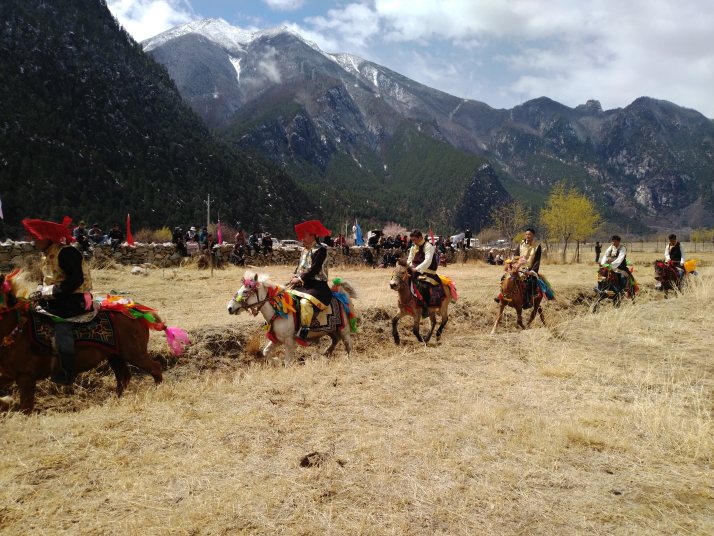 Phuser was born into a farmer's family in Migdo Village, Qamdo City, Tibet, in 1959, the year when democratic reform in Tibet abolished theocracy and serfdom. Before democratic reform, his family had little to eat. After 1959, thanks to rural land reform, the family of eight received 1.67 hectares of farmland. But they were still not out of the woods. "Before the 1980s, we lived in a run-down house. Passersby could see what we were doing inside. And there was no electricity or tap water," Phuser told Beijing Review. In 1983, five years after the beginning of the country's reform and opening up, the second turning point came. Phuser got married and settled down in his wife's village. He bought a truck to transport goods and as the infrastructure of Nyingchi, the new city he had moved to, improved, Phuser's business thrived. With the money he started other businesses, including renting excavators and selling Tibetan herbs. "Thanks to the government's preferential policies, roads and bridges were built in Tibet. Our life is getting better," Phuser said. He is not alone. Over the past 60 years, once impoverished Tibet has developed into a region with a booming economy, a well-protected environment and social progress. In 1993, Phuser was elected secretary of the Dengkar Village branch of the Communist Party of China, and since then has led a poverty alleviation project. The village had a weak economic base and the villagers gathered herbs and sold them for money. The farming industry had not reached an industrial scale and provided only limited income for the villagers. Phuser began fundraising to improve the infrastructure. In 2016, the village received an investment of 650,000 yuan ($97,015), which was used to improve the soil of 40 hectares and develop commercial forests. A new fruit base was built as well with the harvest expected in five years. In addition, 1.64 million yuan ($244,138) was spent to construct 41 km of new roads. The village, through measures such as compensation, vocational education and training, has broadened the channels for farmers and herders to increase their income. 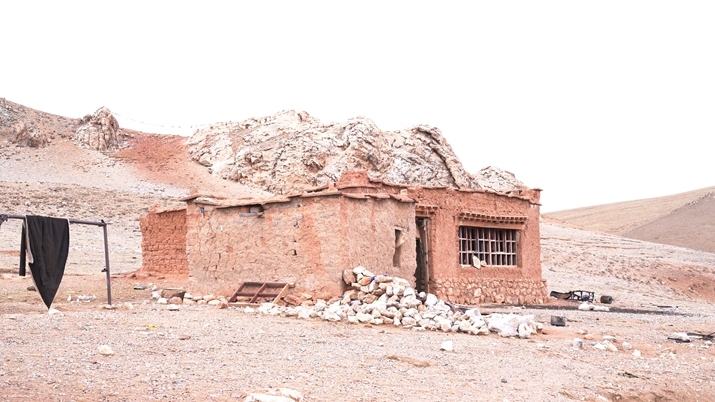 Seizing the opportunity offered by the construction of Lhasa-Nyingchi Railway, the village introduced sand factories from other parts of China, providing jobs for locals. Phuser said the village is expected to be lifted out of poverty by the end of this year. Poverty alleviation work in the entire autonomous region has made progress. In 2018, the region allotted 16.73 billion yuan ($2.5 billion) to support rural development and 2,100 villages and 25 counties were removed from the poverty list. The poor population was reduced by 180,000. "This year marks the 70th anniversary of the founding of the People's Republic of China and is a key year to achieve the goal of building a moderately prosperous society in all respects," Qizhala, the regional Chairman, said. To achieve the goal in 2019, the region is combining poverty alleviation with rural vitalization, developing businesses and creating jobs. Relocation projects are expected to be completed and infrastructure construction accelerated as well as public services improved.